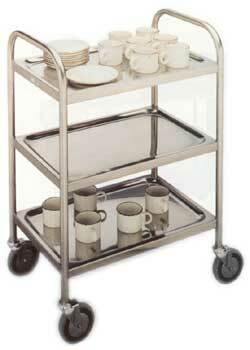 Stainless steel clearing trolleys (trollies) with two or three shelves in a range of sizes. Ideal for hotels, restraunts, school and hospital kitchens. Specials made to order.